All the below observations and suggestions are not mine. These are important lessons that i eventually learn from Babaji and share it here if it may help you. Gratitude at Babaji's feet for this opportunity. Results should not be anticipated quickly. The more the karmic debts, the more the time it takes to clear. Keep a check on how you react because your reaction creates further karma. The more you cry, fret and fume, the more suffering at that moment and more the creation of sankaras thus amounting to more karmas. Moreover, during such low and negative moments the connection with the guru/divine gets more difficult. So be aware the moment you start getting low. Practice "har haal mein khushi" even if it looks impossible. Sincere repeated attempts are what makes you eligible for Guru kripa or the grace from the divine. Attempt should be made to see all things (positive and negative) as neutral without judging any situation. All are valid for spiritual growth. This becomes easier when one takes total responsibility for the same. Try to live as freely as possible rather than carry these things always in the mind about your karma and situations and struggle, what to do and what not to do, what is right and what is wrong, etc. Be aware of everything that happens at all times without judging anything. To be in the mode of "drushta bhaav". Without practicing what the guru has given to do, there is no point in taking multiple advices from every sadhak, internet, books, friends, experts, seniors, the experienced, forums. Rather spend time focussing and contemplating on every word of the guru and what is exactly does the Guru wants you to do in order to ascend. Meditate on His words. There can be no other words than the guru's words, suggestions, advices and orders that will liberate you. 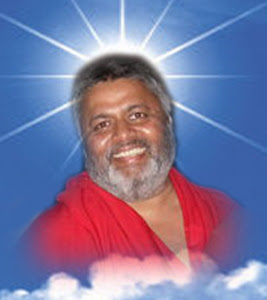 "Guru vaakyam IS param vaakyam." It is important to note that if one cannot follow what the Guru himself speaks, there is hardly any chance that one can follow anything from what His disciples speak. Not all sadhaks in weeks or months get liberated, yet there is impatience and hurry. Rather than focussing on how difficult the journey may be, concentrate on how wonderful the destination would be. The joys of spiritual life lies not in the destination but in the journey itself. Stop comparing yourself with other's experiences and life changes. Every soul is completely different from each other. It is absolutely not necessary that the sequence of experiences in one sadhak's life has be match with others too. Most of the time ithe focus is always on the expectations of experiences, which is why there are no experiences. To experience one has to just be totally in the present by being just aware and allowing the grace to do whatever it has to do. It is not necessary that only if you experience something all the time that the grace is working on you. You can be undergoing a massive change within without even you knowing an ounce of it. Time will eventually give you enough hints to know your progress. The journey can be rocky depending on so many situations. One day it can be a wonderful day where you can feel on 7th heaven and the next day you may be feeling crawling on earth. The key is try to maintain neutrality in times of feeling in heaven or anywhere else, feeling neutral in all situations. One day the sadhana might be extremely mesmerising and one day it might with be just the opposite. There is no point trying to hunt what went wrong where and how, neither in getting irritated during the sadhana. When water flows through the gutters, sometimes it flows smooth and sometimes there are blockages. Soon water starts accumulating there and the more it accumulates the more the force on the block and it is eventually flushed out. Water is grace and blockage is karma. If things are not happening. pray to the Guru and Divine to help you. When you get up from sadhana, thank for the opportunity of getting to do the sadhana irrespective of whether anything is experienced or not. It is a privilege to get an opportunity to do sadhana which many many do not get in the first case, because sadhana is the passport to liberation. It is normal to see obstacles and problems of all kind around and within when one begins any spiritual practice. As Babaji says with any thing you start doing, the tamogun first rises first and it becomes evident. The negative impressions stored in the chitta for so many lifetimes surface. It is important to know that they surface not to give you trouble but to be released. So, they should not be suppressed or bypassed. Karma cannot disappear but it has to be transmuted from negative to positive through sadhana and before transmutation they surface out physically, mentally and emotionally. Again, watch and observe anything and everything that surfaces without getting involved. Baba says whatever is happening let it happen and finish once and for all; the earlier the better. Do not fall too much into techniques for techniques are given as a framework to any sadhana, it is the skeleton of the sadhana. Any methods taught in shivirs are for discipline and focus and they do not end there. Methods and techniques should not be treated the physical exercise where one is moving the body even if mind is elsewhere, but should be treated like gymnastics and acrobatics where the totally focus of the performer is on the whole performance - mind, body and soul. Sadhana should always be effortless. The more the effort the lesser the connectivity and experience because the one that makes effort is the mind. For this, one should always be in the awareness that one is not using the kartha bhaav (I am the doer). When one becomes the doer, why will the divine intervene? Two riders cannot ride the same bike at one time, it is only of them. Same way, it is either you or the divine grace. It is simple thus to note that if you want connection with the divine, allow the Divine to ride you. Surrender! It is usually the ego mind that always tries to take on and thus fails. Never get desperate, whatever is one's state of living. Desperateness will create fickle-mindedness and the mind will try to do all tricks and shortcuts to get success. When the ego takes over, it is a bloated feeling to feel that "I am doing everything rightly". With ego nothing much happens but more frustrations come up. Rather, best is to take responsibility for whatever situation one is in and have complete faith in the practice of unwinding the difficult situation into a positive one with total love and surrender to the sadhana and Guru kripa. Do not search for short-cuts or the easy way out. Even if they look wonderful sooner or later one will find out the truth. It is not difficult to get misled on the spiritual path. Babaji says that the more the obstacles and troubles means more the karmic factors and thus more should be the sadhana. "More" does not mean the quantity of time but "quality" sadhana. 1 hour of quality sadhana could be so much more than 5 hours of "empty" sadhana. One might say that one is unable to sit for sadhana or there is no "mood" or concentration. This is when one should know that it is nothing but the play of sanchit karmas that does not allow one to change or think positively. At such times, accepting this fact itself will open up half the door and the rest half will be opened by sincere prayer and surrender. The highest form of prayer than asking for petty things on and often to the guru/divine is to ask for blessings to be able to do quality sadhana for this is what will slowly give one everything. So one quality repetitive prayer with focus is better than multiple prayers everyday on different aspects wtih scattered energies and focus. Keep making attempts to understand in depth the teaching of the guru at all times. What one learns should be co-related in one's life. Even whenever one hears Babaji speaking something, more than the superficial relish of His words, it should be immediately co-related to one's life. What the ears hear from Babaji, should start churning within simultaneously. The ultimatum and the highest intention should be focused on self-purification. i have learnt that Babaji's every word and teaching and examples all aim and focus only on one thing - self-purification. So if one's intention itself is this, then there is quicker progress because the intent itself becomes so pure and divine. Practicing being in the moment helps tremendously because everything happens in the NOW. Most of the experiences are missed out because those experiences are happening in the NOW and the mind is in the past or future. Practice talking to the Guru at all times in the mind. 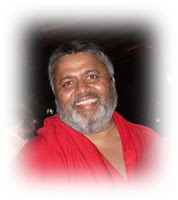 Constant communication increases connectivity to the Guru and and is better than the connection one seeks only during sadhana or in distress because in moments of being low, it is difficult to connect. Thus, practice of constant communication comes handy. Share as much as you can the teachings of the Guru but without the attitude of teaching but sharing. Baba reminds not to become the guru and impart wisdom but remain a sadhak and share wisdom. This not only helps build good deeds but also in the process one squeezes the teachings and understanding of it into one's own life. The more one does it for others, the more it gets it in oneself. The act of humility is very powerful because it is only with humbleness that one receives. This is not only a good tool for receiving more grace but also a great tool for handling the ego. Never believe that the Guru loves some more because that person experiences more or because the person is seen in the physical presence of the guru. Babaji says the physical presence or meeting is the least important thing. He also once told a story of a fisherman boy who would always be in Bade Baba's physical presence. The boy sells vegetables today and is in his own state. So, spiritual upliftment requires subtle contact than physical contact. One should not hold guilt for anything wrong that happens during the practice (when the intention was not that). There are times when dirty nasty things surface during sadhana - again it should not be judged as good or bad but allowed to surface and release by being neutral towards it. The Divine understands that one is sincerely trying to come up and evolve. If one was pure enough why would one be trying to do holistic things? But guilt creates karma and it is better not to hold any. If one keeps all senses open, there will be many experiences and guidance coming at all times provided one trusts what is happening and allow it to happen even though one may think it is not right for the moment. Spiritual experiences happen but are ignored most of the time by the logic mind because it seeks physical proof. Sometimes, they are discarded as co-incidences or ignored fearing one may look foolish or even fear one is going crazy. The best way to have the Guru's presence is to invoke him with love and faith and merge with Him. Feel He is all within you and there is no difference between you and Him - as though you are Him and He is you. At such times, there is an enormous power that will engulf you though you may not see it or know it physically or consciously. Come what may do not give up. Testing times and trials are part of the path and one will be tested at all times - tested on the surrender, tested on the choices one makes, tested on how much one has learnt, tested on one's patience, tested on the five vices - anger, attachment, infatuation, greed, lust and the most testing test will be the trust in the Guru. @preet.. everything is Babaji's wish.. :) namah shivaya.. Thanks to Babaji for answering me through your blog :) This is exactly what I was looking for and needed. really a wonderful work, you are helping all sadhakas to improve. Thanks to Babaji & you. I am so grateful to you for writing these experiences. I love reading and trying to see where I can improve. keep writing. God Bless you. Lots of unconditional love- and Gratitude. babji I am waiting for miracles to happen. i want to feel you. I feel these 2 are basic - 1) become nobody (by simply observing only yourself) 2) do sadhana. these cleanse all.